If one is fortunate in this life’s journey, there will be a person or two who will come into our lives and have a major impact. Judy is one of those individuals for me. She has helped me grow my network marketing skills tremendously. Judy has taken me from “overwhelm” to where I believe I can accomplish my goals. Not only does she help you believe in yourself, but she teaches the right skills for network marketers, and breaks down what needs to be done in small, manageable “bites” so you can be successful. In addition, she coaches you on what to say and how to say it for utmost effectiveness. Perhaps it is her years of counseling that makes her coaching so valuable. She never ends a coaching session without helping you focus on your next step, next goal, next action item. 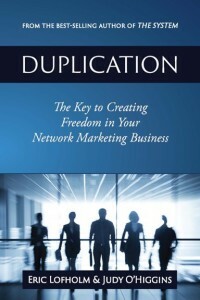 If you want to grow your network marketing business, Judy will absolutely help you do it! In her, you will find generosity of spirit, authenticity, enthusiasm, and results for helping you grow as a person and as a professional. Judy is a warm, caring, dynamic leader. She is willing to go that extra mile to help her team experience the same success she has acheived. Judy O’Higgins is an inspiration in both personal growth and development and in network marketing. In the time I have known her, I have observed her innate ability to help people get beyond their personal blocks so they can achieve their goals. More than a cheerleader, she gently escorts you to new levels. 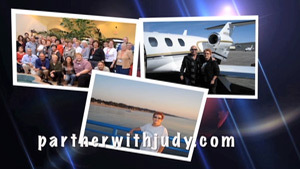 If you want to take your network marketing business to new heights, Judy is the one to lead you on this journey. Judy has a knack for getting you to see how easy network marketing is. I have found myself approaching more and more people and feeling less and less nervous about it. She focuses on how you can do things in a simple way and not feel like you are “selling” people on an opportunity but rather sharing a great value with them. 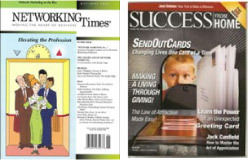 Judy O’Higgins is a dynamic leader and network marketing expert. She is a successful business woman and a highly respected leader among women and men within network marketing. Her genuine warmth, caring, knowledge, empathy, positive support, and skill empowers others to overcome negative programming while having fun and enjoying life. Judy’s kind temperament creates wonderful business relationships and provides a safe environment for people to develop their skills. She enjoys helping others become successful. and is an excellent resource. She offers excellent coaching, leadership development, and training on relationship marketing while allowing people the freedom to develop within their own personality style. Judy is respectful and honors the differences within her team and knows how to use those differences to create dynamic and healthy teams.